Whisk together eggs, kefir and vanilla bean paste. Pour into a large, shallow dish then place bread slices into the mixture in a single layer (you may need to divide into two dishes) and allow to soak, turning half way), for 10 mins. Meanwhile, to make kefir caramel sugar to a medium, heavy-based saucepan. Stir constantly until sugar has completely dissolved then remove from heat, whisk in butter (be careful as it will spit) then pour in kefir in a slow, steady stream, whisking constantly. Whisk in salt. Add peaches, return to low heat and cook for 5 mins until peaches begin to collapse. Heat butter in a large frypan over medium heat until melted and frothy. Remove bread slices from egg mixture and transfer to frying pan in a single layer, frying for 2-3 mins each side or until golden and crispy. Place 2 slices French toast onto each plate. 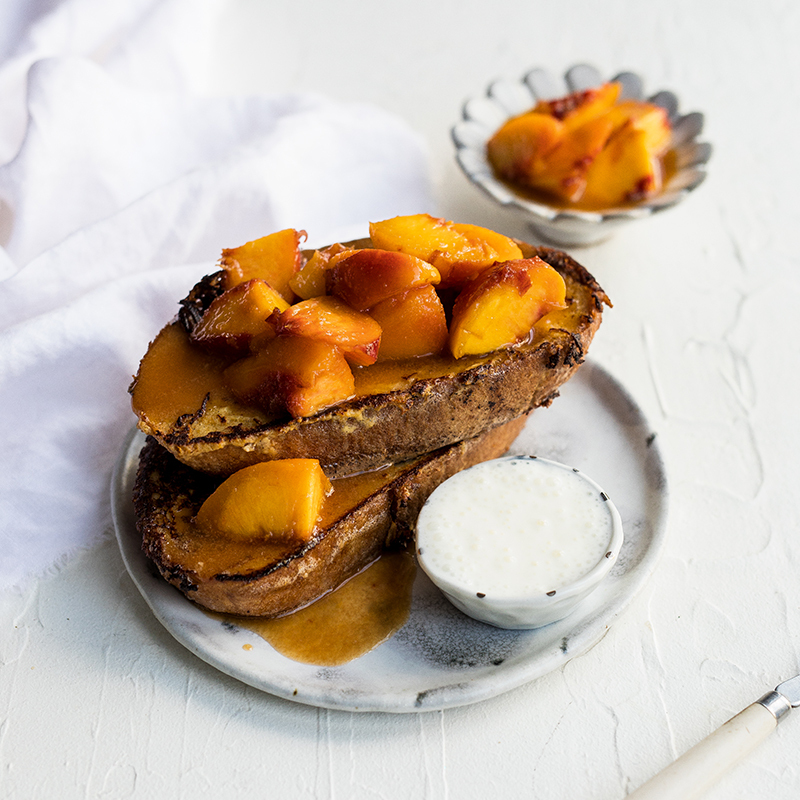 Top with a caramelised peach mixture and an extra drizzle of The Culture Co. Natural Kefir. Serve immediately.